Looking back, you might be thinking, “how in the world did I choose that engagement ring? !” Thankfully, over the past few years, new styles and technologies have emerged in the diamond industry that have widened the engagement ring pool of options. Today, we’re going to review some of those changes and highlight some great styles for when you say, “I do” this time around! If we really had to take a shot in the dark on what your first engagement ring looked like, we’d imagine it was a 1-3 stone diamond ring with a yellow gold band…accompanied by a solid yellow gold wedding band. And if this style is still what you’re looking for, then there are have plenty of yellow gold engagement rings options for you. White gold engagement rings made a huge splash in the industry and have continued their widespread popularity. From solitaires to halos, this classic color looks absolutely stunning next to a sparkling diamond and gives a timeless look to any future Mrs. However, in the past year, a new color made its way into the hearts and onto the hands of fiance’s everywhere….Rose Gold. It all started with the rose gold iPhone and from there, the color’s popularity spread like wildfire. Not only is this breathtaking shade of pink a unique trend in engagement rings, but the color goes with just about anything…hence the reason it’s now one of three color options for any engagement ring or band at many fine jewelers and even at the lab-grown diamond company, Clean Origin. There has also been a shift in the number of diamonds that women are choosing for their rings. It used to be widely popular to have a single diamond displayed on your engagement ring. Today, there are tons of styles with gorgeous accent stones that give the ring, even more, shimmer and pizzazz. The halo setting has become extremely sought after in the past few years for one big reason…a circle of smaller diamonds surrounding the center diamond tends to make the main stone appear much larger. Take into account the 20-30% you could save by purchasing a lab-grown diamond engagement ring and you can put that money toward making that center diamond 20-30% larger! Yes…you read that correctly. There are now lab-grown diamonds! If you’ve done any research at all, you probably know all about the negative impact that mined diamonds have on our environment and the people working to extract these stones from the ground. The mined industry is outdated and overrated, and science has now given us a way to finally look past it. Replicating the same growing process that diamonds experience in the earth, lab-grown diamonds are put under high heat and high pressure to literally grow inside a lab. These stones are chemically, physically and optically the exact same as mined diamonds. And, as we mentioned above, lab-created diamonds are anywhere from 20-30% less expensive. So for the same product, you’re either saving money for your honeymoon or surprising your significant other with a ring that’s much larger than they expected. With so many options out there, finding your perfect fit can seem daunting. But, no matter what number ring this is, an engagement ring should be a symbol of love that can be displayed to the world. And, with the new technology of lab-grown diamonds, it can also display your love for the earth and those living on it. 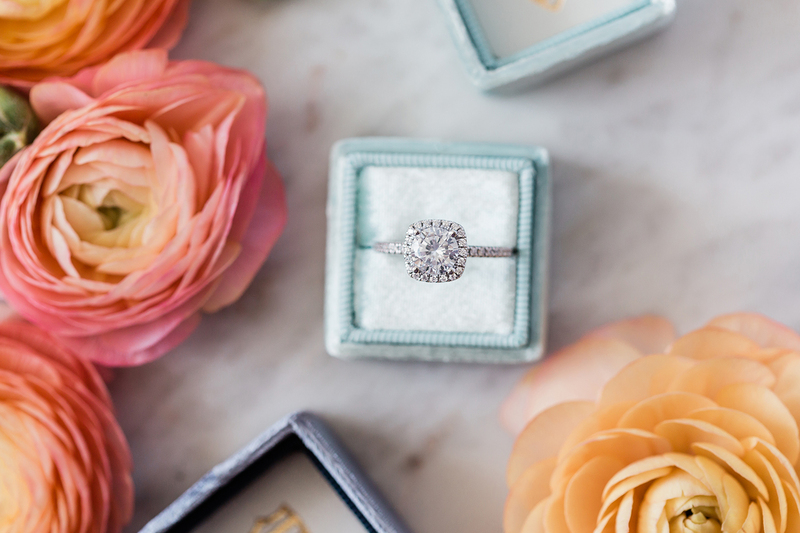 Go with your gut and find a ring that’s more than just a beautiful piece of jewelry! And, if you have any questions along the way (big or small), the diamond experts at can help.